Just as dental implants changed dental surgery forever when introduced, the revolutionary All-on-Four® Dental Implant procedure is the next evolutionary step in the field of dentistry. It is commonly known as Teeth in One Day, as it is just that fast. When patients are missing a significant number of teeth, there is no quicker or better solution than the Teeth in 1 Day, All-on-Four® procedure. After your consultation and with the initial steps set-up, your arch reconstructive surgery takes less time than a drive to San Francisco. 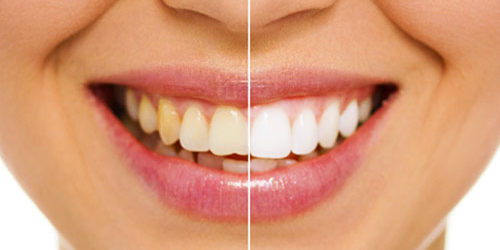 You come in the morning and leave by the mid afternoon with a brand new, functional and beautiful new arch of teeth. While the traditional dental implant procedure uses as many as eight to ten implants for each arch reconstruction, All-on-Four® uses only four. The secret to its success is the 45-degree angle of the rear implants. As this implant is longer, it is stronger and able to readily fuse into available bone not usable with older dental implants, saving you the additional step of bone grafting. Best of all, your newly installed implants will get crowned the very same day, providing you with a beautiful smile the same day you come in. Traditional implants can take almost a year before teeth can be placed, leaving you either toothless or with less ideal solutions such as dentures. Before the All-on-Four® implants are installed, you will have a few visits with Dr. Jivraj at Anacapa Dental Art Institute in order to craft your unique treatment plan. Using CT Scan technology, highly sophisticated cameras, X-Rays and impressions, Dr. Jivraj will establish every aspect of your surgery before it occurs, allowing the day of surgery to be as streamlined as possible. After these set-up steps, the All-On-Four Dental Implant procedure takes only one additional day. You come in the morning and leave in the afternoon with a whole new smile. For this reason, Dr. Jivraj’s patients call this procedure the best All on 4 dental implants Ventura County has available. After the above-described steps, there is one additional procedure six months later where Dr. Jivraj will take impressions in order to make your final permanent set of teeth that will last decades. After those are installed, this would then conclude what Dr. Jivraj’s patients are hailing as the most beautiful All on Four® implants Oxnard has available. The Anacapa Dental Art Institute proudly offers a specialized form of the All-on-Four® procedure to those who have had cancer treatments in which a portion of jaw had to be removed. Dr. Jivraj, who is an expert prosthodontist and a leader in the field of dental implant surgeries, can use the cheekbone for the placement of the implant. This practice has been well researched and can give amazing results where one had previously thought all hope was lost. Dr. Jivraj is an expert in these highly sophisticated procedures and has the facility and staff to perform it with beautiful results and minimal downtime. Patients having received the All on Four® implants in Oxnard commonly feel no more self-conscious feelings about their smile, look and feel more professional, attractive and ready to return to the life they had before tooth loss. 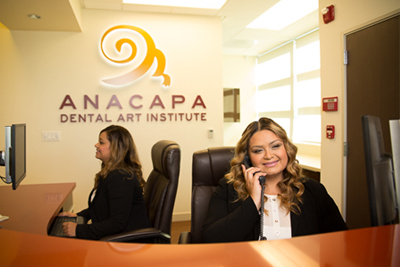 They report their experience at Anacapa to be smooth, comfortable and effective. This is because our staff is united in ensuring you get the most beautiful and healthy result possible. We take pride in servicing the communities of Ventura, Camarillo, Calabasas, Thousand Oaks and Santa Paula. We enjoy raising the aesthetic beauty of our community one smile at a time. If you or a loved had been searching for what many call the best All on 4® dental implants Ventura County offers, call today to schedule your private consultation.